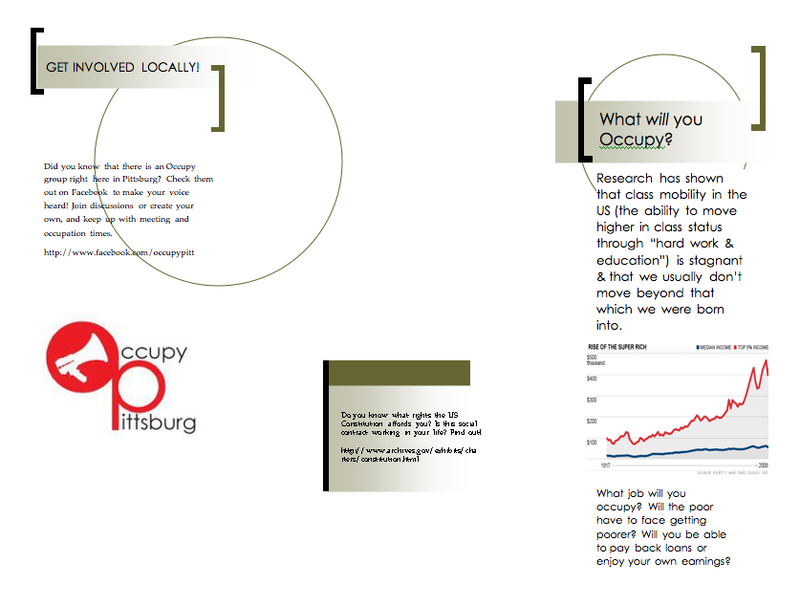 A couple of screenshots of the brochure I will be distributing this evening at our local Occupy group’s event. 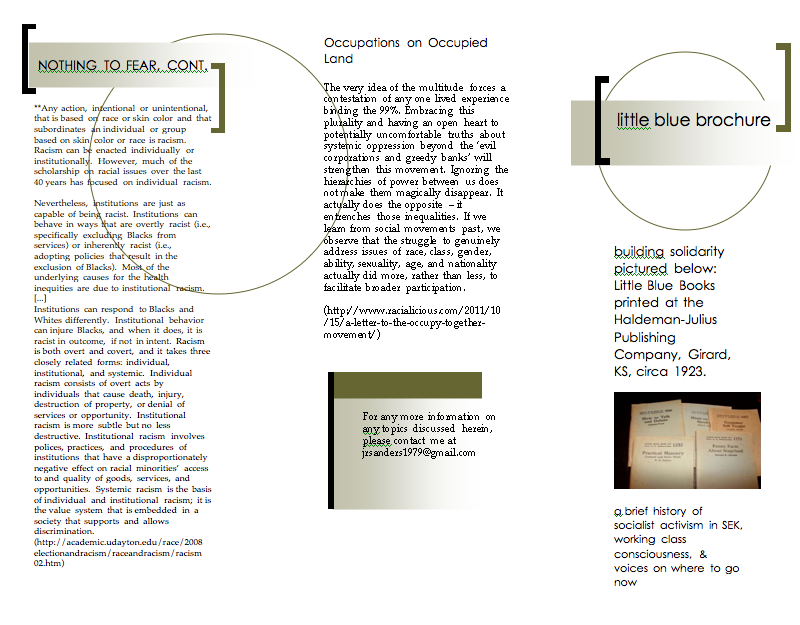 My primary goal is to provide a primer for thought into historical movements in the local area and how we can learn from them. 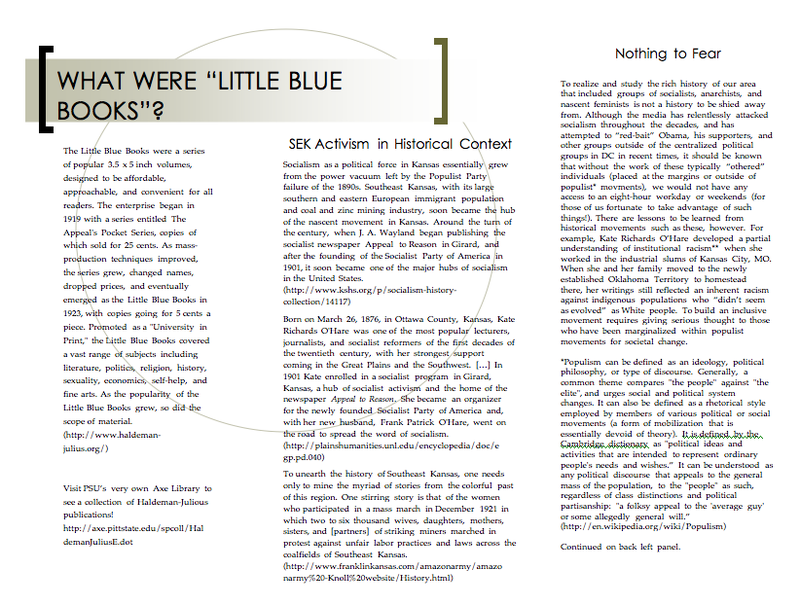 Also, it will be printed on blue paper, although that doesn’t seem to be the original reason as to why the Little Blue Books were called that — E. Julius-Haldeman (he took his wife’s name and hyphenated, pretty cool for turn-of-the century Kansas, eh?) read a similar publication in the cold with such intent that his hands turned blue while being so engrossed in the literature. Click on the pics to enlarge to full size. 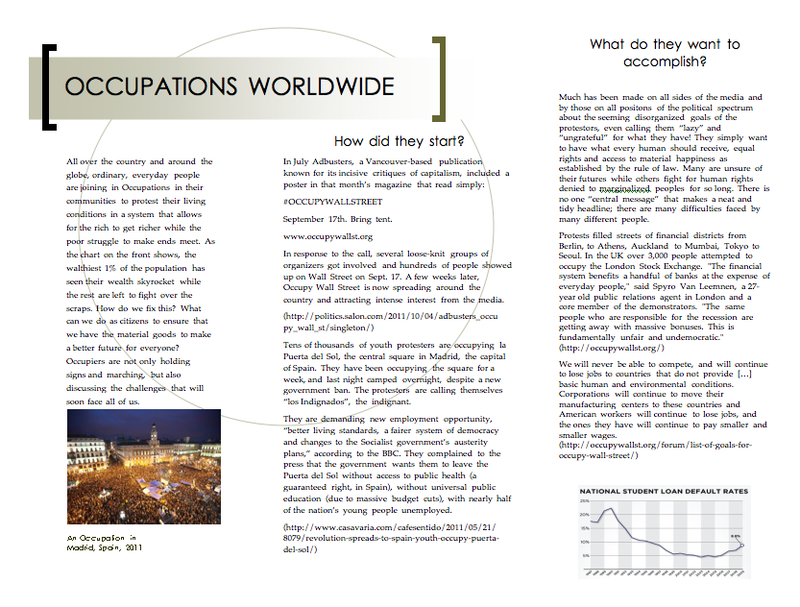 This serves a dual purpose — to educate and to complete a project for a class. Suggestions, thoughts? Well, not so much of a turnout tonight. I will attempt to distribute these at other core kinda meetings to people more open to these ideas. To complete my project, I made another one for a much wider audience with students here at our university in mind specifically, and I plan to hand them out at the ends of classes with cooperating instructors in addition to placing them at our writing center, herr director permitting. That would account for the broader message, and I did my best with entering text that didn’t clash too much with what I personally believe. I added the blurb about the constitution ’cause, hey, how do you know if this “social contract” is even working if you don’t know it, yeah? So, here goes nothing (literally, ha! ).